Empires Industries billet intake manifold for the Polaris RZR XP 1000. The stock intake boots are rubber and are prone to tearing and pulling dirt or sand into the motor destroying your valves and pistons. Eliminate this problem with this billet intake manifold. 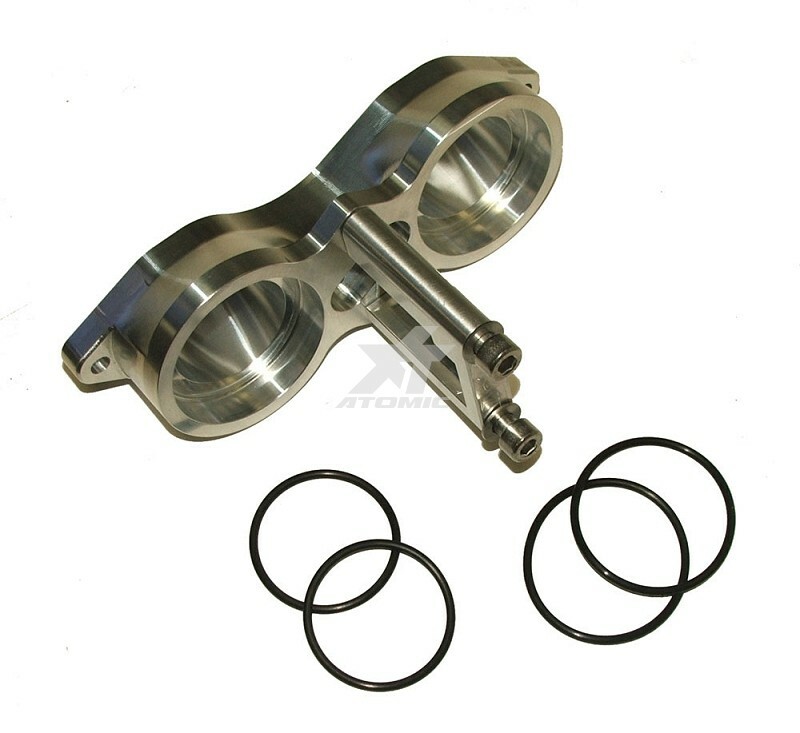 They are o-ring sealed and hold the throttle body securely to the head preventing dirt and dust from getting into the intake tract.